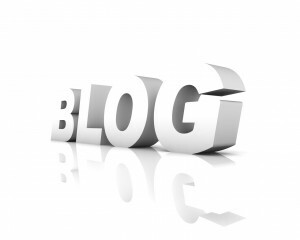 Considering writing a company blog? Good. And especially good if you’ve built an online store through a cloud based platform like Shopify. The benefits of putting something together for customers, both current and potential, to follow from the comfort of their own desk is a powerful marketing tool. And, of course, in today’s competitive online environment, a company blog could well be seen as an absolute necessity in the fight to keep customers well informed and up to date about the latest developments. Further, keeping your enterprise visible on the web is as important as the traditional mass media presence achieved through advertising and product promotion. The question that any managing director asks with regards to the development of an effective weblog is, “what content do I place on the blog, and how do I present it?” The only honest answer that I could possibly give here is that it all depends on your company and the product/service that it offers. The general rule of thumb is to remember that the weblog is an extension of the company, and therefore carries the brand. Brand management is thus central to the way the weblog should be managed, and the foundations (conceptually speaking) of the blog have to be completely in step with the overall Geist (spirit) of your company. Alongside this vitally important consideration is another fundamental concern to be borne in mind: many customers are consumer savvy, and will undoubtedly move their allegiance away from your brand if they feel that the blog is somehow unfaithful to its customer base. Authenticity, without fail, is the key ingredient to a successful blogging experience. Never try to manipulate your customer base, especially with a medium as intimate as a blog can be, and always let the quality of your service/product speak for itself. Remember that despite the interest the market may have in what your company has to offer, your blog readers will have a multitude of demands on their time so keep the information you provide relevant, and remember to keep its presentation simple and pithy. Details are often subordinate to overall impression, and recognising that your reader has a variety of interests and time demands will repay your diligence with positive reinforcement associated with your company name and product/service. This last point is perhaps the actual goal of good web logging: whereas specific information may be useful and of relevance, the effects of reinforcing your company (in terms of it being a brand) by creating a continually positive presence in the lives of your customers will keep the market interested in you. The logic of this is relatively simple – the better your image in the eyes of the public, the better your sales figures will be. For example, if you’re a real estate agent in the Free State, articles about the property for sale in Bloemfontein will be relevant to your market and your advice will be greatly appreciated. In terms of information, sales, current specials, upcoming events and report backs (about products/customer satisfaction/services) will always be of interest to your reader. Very importantly, the blog will give you a direct line to your customer, and will endow you with the opportunity to talk to them in a direct manner about, sometimes, unfortunate events or occurrences. Apologies and/or corrections will also do much to repair a damaged reputation should such an event arise. Essentially, a weblog is not an advert in the traditional sense: it is instead an on-going branding exercise keeping your customers up-to-date with relevant information that is presented in a catchy, pithy or entertaining way.